...and have the best Caribbean vacation ever! Select a Motor Yacht or a Sailing Yacht in the Caribbean? 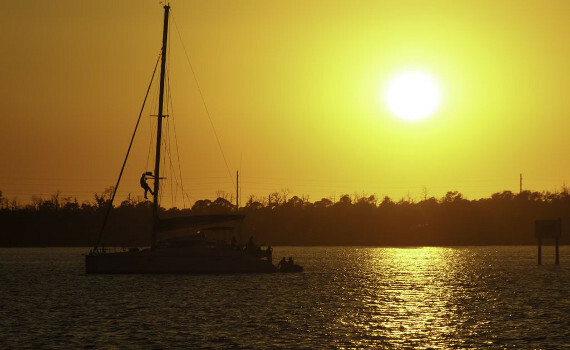 The decision on the right yacht for a Caribbean holiday depends on your needs and preferences on a sailing vacation. If you would like a slow-paced, relaxed vacation, select a sailing yacht. Motor yachts are faster than sailing boats and offer more luxury, comfort and space. They also have more power and more additional equipment, such as watersports and entertainment amenities. They also feature sophisticated navigation systems. The shallow draft of motor yachts enables easier access to bays and coves than that of a sailing boat. Since motor yachts are faster, you can visit more destinations in less time. Sailing boats, on the other hand, are more economical than motor yachts, as they need less fuel due to the power of wind. 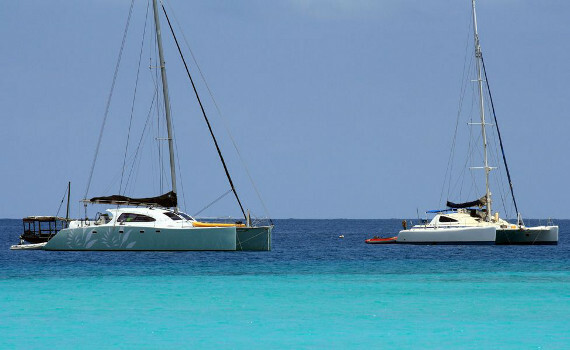 Select a Monohull or a Catamaran for a Sailing Trip in the Caribbean? For your sailing trip in the Caribbean, you need to select a charter option that will make your journey as pleasant as possible. 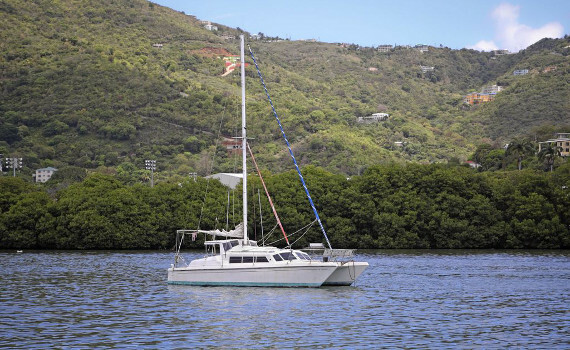 A very popular option for sailing in the Caribbean are catamaran yachts due to their stability and comfort. The distances between Caribbean islands are greater so you need to select a yacht that will take you from island to island as comfortably as possible. Catamarans also have a shallow draft so you can reach areas monohull yachts cannot. 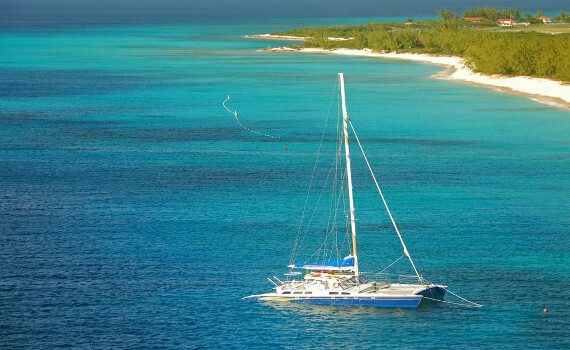 Select a catamaran for faster sailing in order to see more on your Caribbean sailing journey. However, monohulls are a cheaper option in the marinas and you can choose from a wider offer on monohulls than catamarans. Designed for coastal cruising, this comfortable yacht offers perfect ergonomics, speed and elegance. It boasts high-level equipment. Ideal for performance sailing, this spacious catamaran offers a high degree of comfort and maximum safety. A modern cruising catamaran that provides a perfect compromise between navigation performance and comfort on board. Discover the most popular yacht brands on our specialized pages. Explore Beneteau yachts and how to charter them on Beneteau Yacht Selection. Visit Bavaria Yacht Selection and find out more about Bavaria sailing and motor yachts and charter procedures. Discover the best features of Elan yachts on Elan Yacht Selection or read more about Jeanneau yachts and how to charter one on Jeanneau Yacht Selection. Sail Caribbean Yachts is a proud member of a leading SailingEurope Yacht Charter Group.